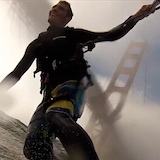 Bay Area Kiteboarding • View topic - Surf-fur Discount! Hey everyone, just wanted to share a little discount on another great kiting accessory: Surf-fur. Someone recommended these last year when I did my changing poncho order, so now is your chance to score a deal. Perfect for winter surf sessions, spring nuker days at the coast, and for hanging around the Sherman parking lot. You won't realize how you lived without a robe until you try one!